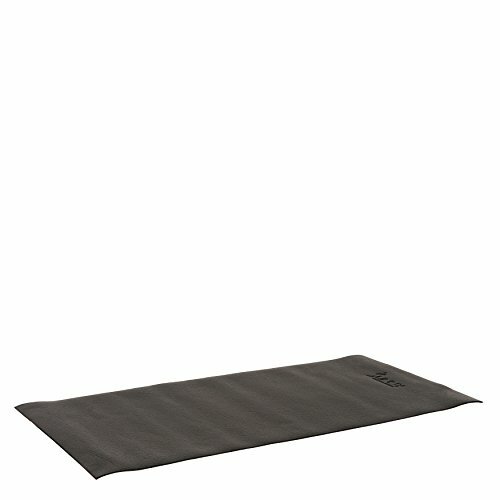 The Fitness Equipment Floor Mat by Sunny Health and Fitness is the must-have for any in-home gym. Measuring at 4x2 feet it is just the right size for most of your Sunny Health & Fitness equipment. This tear resistant, non-slip exercise mat will ensure safety and stability for your exercise equipment! Made with high density PVC foam material, this black exercise mat will support your exercise equipment through the toughest of workouts. Place underneath your elliptical or indoor cycle bike to avoid the fitness machine slipping or causing damage to your floors. DURABLE & NON SLIP: This Heavy-Duty floor mat is completely durable and waterproof while protecting floors and carpets from possible damage and debris. The high-density, non-slip performance mat provides unmatched durability and cushion. CONVENIENT SIZE & WATERPROOF: Measuring at 51.18L X 23.62W, the fitness floor mat is perfect for indoor cycling bikes and ellipticals. The mat is also water proof and sweat resistant so you can easily clean with a damp cloth. SPACE SAVER & ERGONOMIC: Simply roll your cardio fitness mat and store away in a utility closet or under the bed when not in use.